a.EVA film building laminated glass was used for curtain wall, rain cover, daylighting roof, balcony guardrail, stair armrest etc. b. Building arc-shaped laminated glass was used for curtain wall, rain cover, stand column, rotary stair etc. c. Bulletproof glass was used for bank counter. II.Art glass such as wired flowers glass, silk glass, colored laminated glass, main for silk decoration glass. Such as wardrobe sliding door, hanging sliding door, marble etc tempered glass. III.New energy glass, such as solar photovoltaic glass, conducting glass, LED glass and electric heating glass lamp. The machine characteristic is: no need autoclave, simple operation, low energy, high efficiency. Posted By: SINCERE NAXENS Holding Group Co.,Ltd. Business Description: Providing the highest quality Glass-Finishing Machinery, Glass Tools Spare Parts, Consulting and Mechanical services since 2007. SINCERE NAXENS is a professional manufacturer and designer of glass processing machinery，window&door machinery and laser engraving machine. We are specialize in providing glass machinery, tempering furnaces, glass tools,window&door machine and consulting services to the glass industry world wide. We offer you high quality low cost solutions for glass insulating, cutting, washing, drilling, polishing, tempering, laminating, and much more. 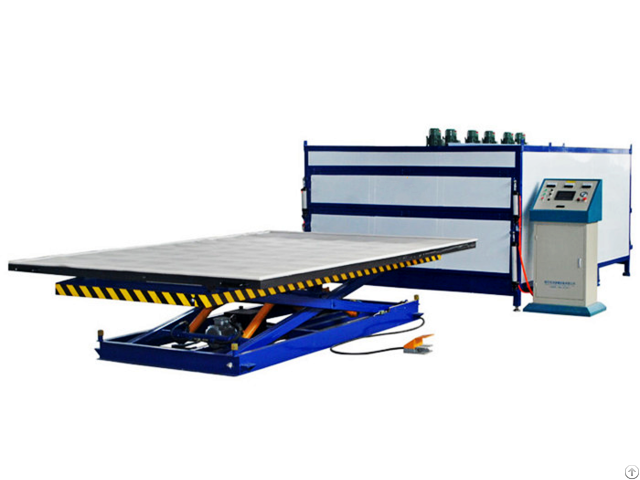 Importantly,The design solution of glass processing production line and window&door processing production line is offered with free of charges.The design drawing of layout and electrical circuit as the workshop will be freely offered to customers. Customers often complain about the machinery that have many problems but supplier can't solve in time.Our company adopts new business model to control system.In the systems, all roles is idependent and mutual restraint but harmony.As our customers mainly from overseas,it will takes their much more energy and money to ask for factory to solve their problems or sending parts to them in time.However, factory have their disadvantages such as dealing with customers that is not professional, to cut down their produce cost to use bad quality materais that can't be checked or watch personally.As the customer's money will be in factory's account so the quality of goods can't be master as lack of supervise.In our business model, the supervise to factory 's manufacturer will be effective.Our company is responsible to commuciate with customers'requirements and urge factory to improve the quality.When quality is good after inspection by us and feedback the matters to customers and finance company, then customer inform us if they are satisfied about the machine, the balance will be paied to factory.